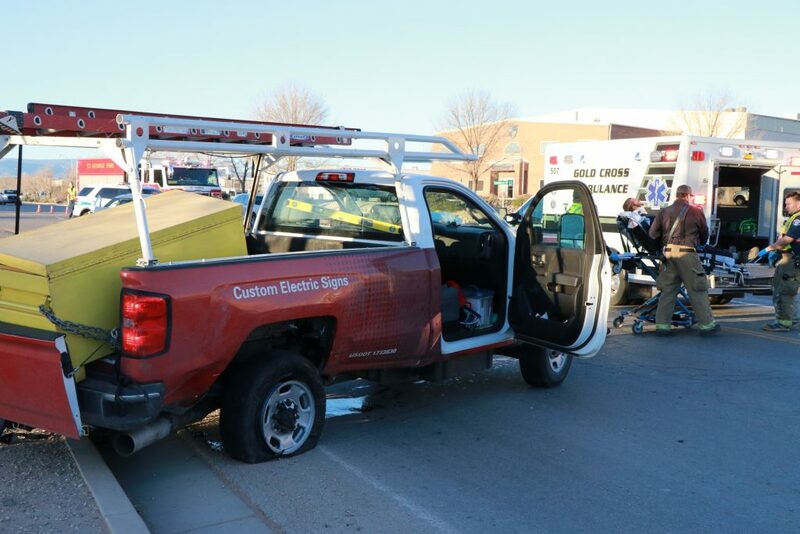 ST. GEORGE — A driver ran a stop sign and collided with a pickup truck while going across River Road Friday morning, police said. 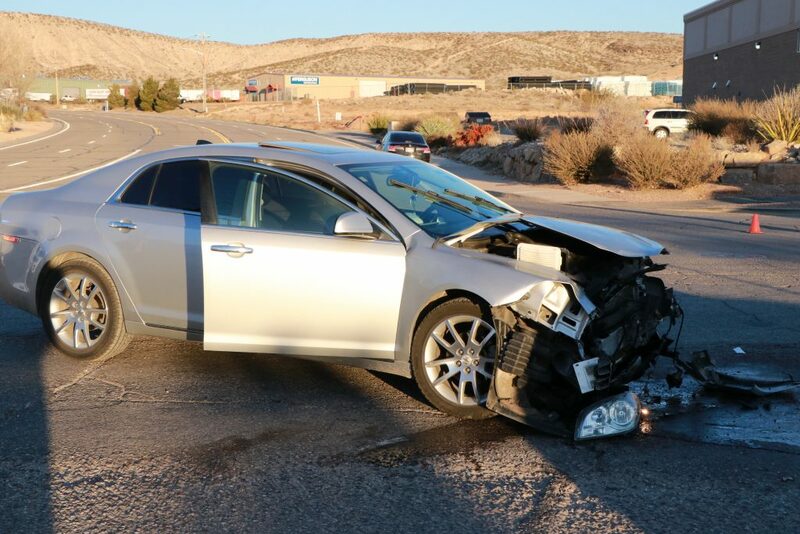 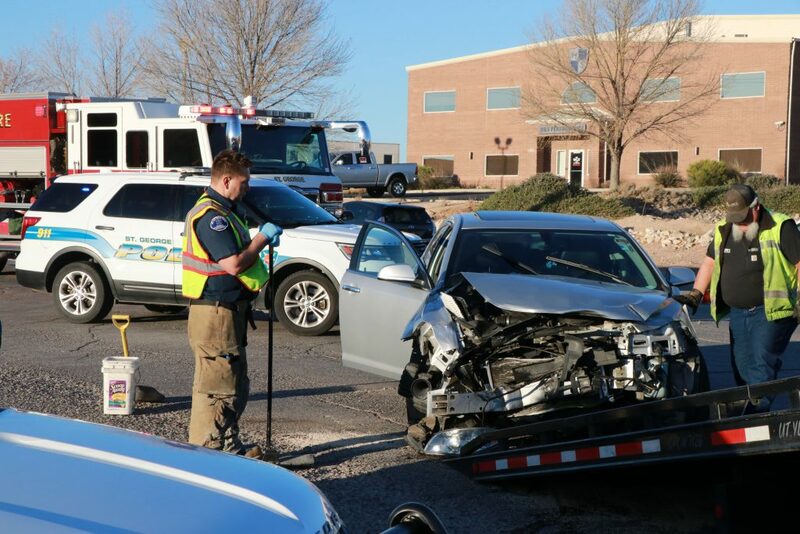 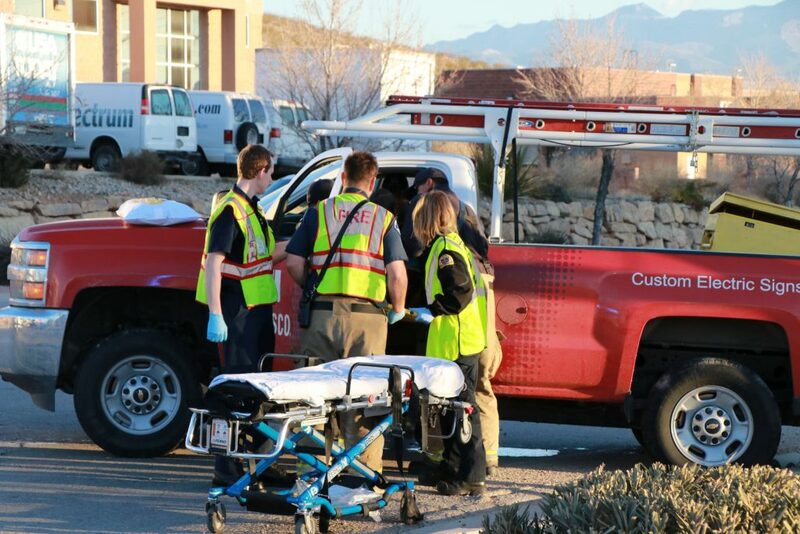 St. George Police Officer Lona Trombley said the incident, which occurred at the intersection of Commerce Drive and River Road at about 7:15 a.m., involved a silver 2012 Chevrolet Malibu sedan and a red Chevrolet Silverado pickup truck. 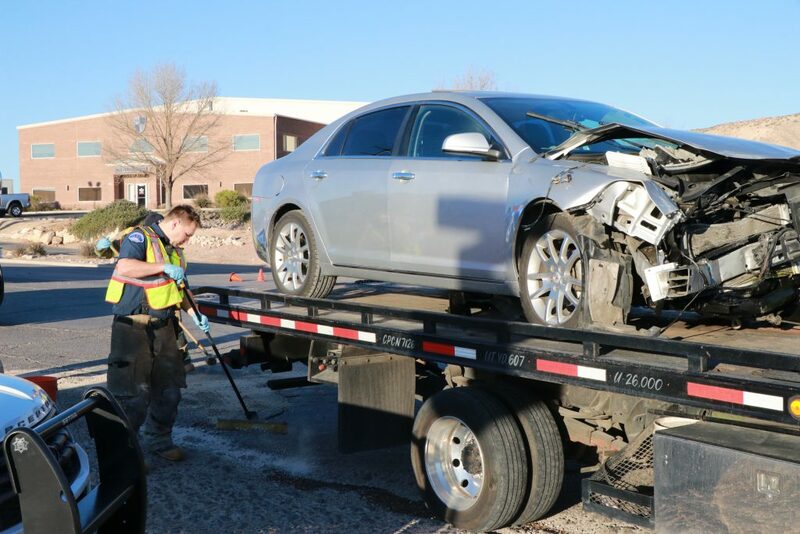 Trombley said the driver of the Malibu was heading west on Commerce Drive, while the pickup truck was northbound on River Road. 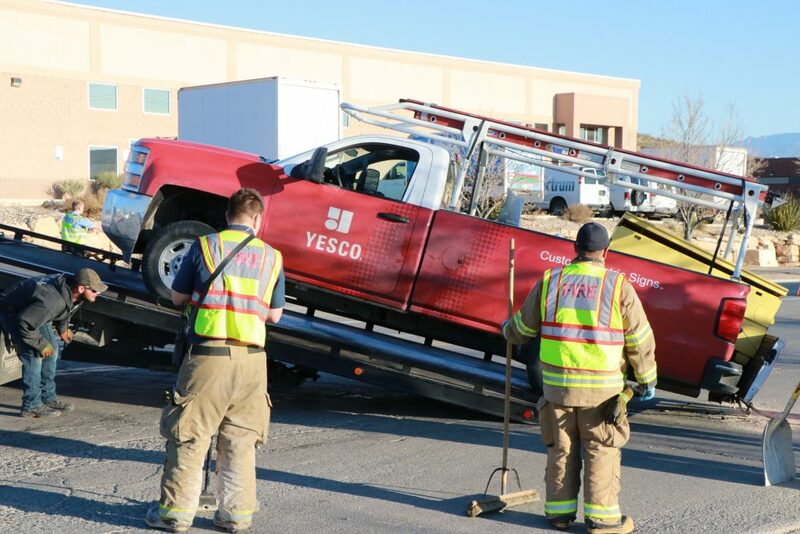 “The driver of the Malibu blew through the stop sign, hitting the Silverado truck,” Trombley said. 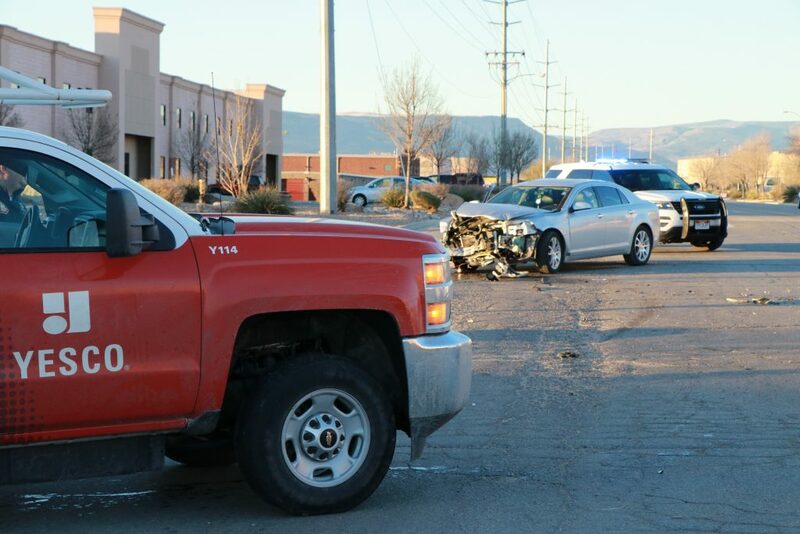 Neither the 23-year-old female driver of the Malibu nor her adult female passenger were injured in the collision, but the 43-year-old male driver of the pickup truck was transported by Gold Cross Ambulance to Dixie Regional Medical Center for treatment. 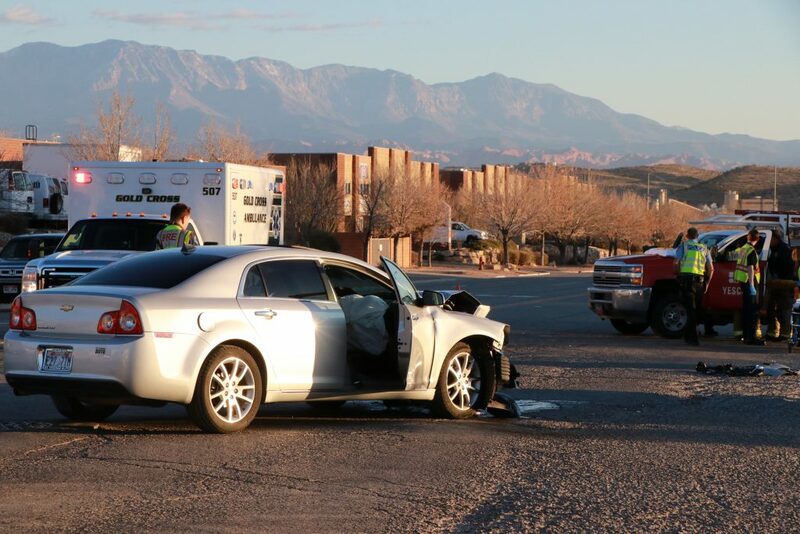 The nature and extent of his injuries were not available at the time of this report. 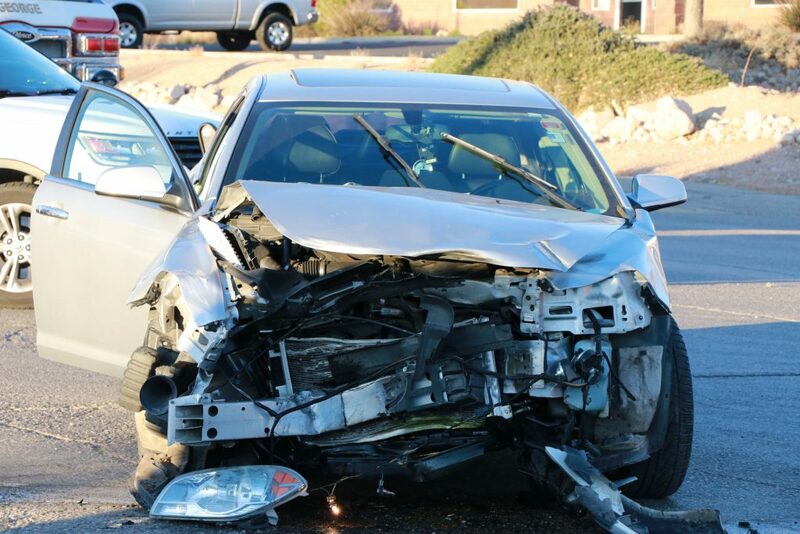 The Malibu driver received a citation for failure to stop at a stop sign, Trombley said. 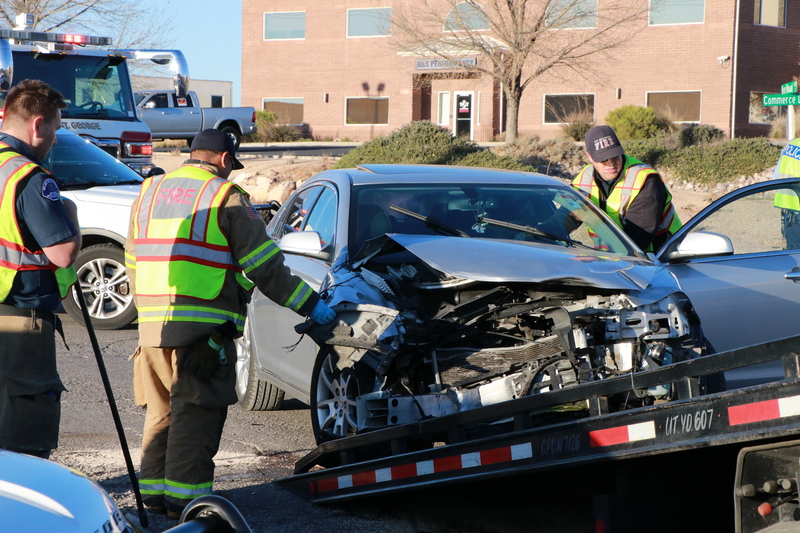 Traffic was diverted to the west side of River Road and around the wrecked vehicles for about 45 minutes as responders from St. George Police and Fire departments worked to clear the scene. 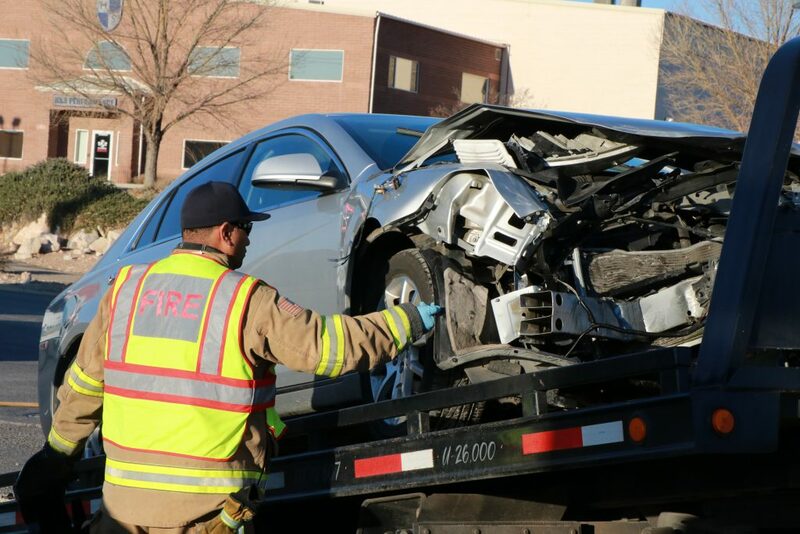 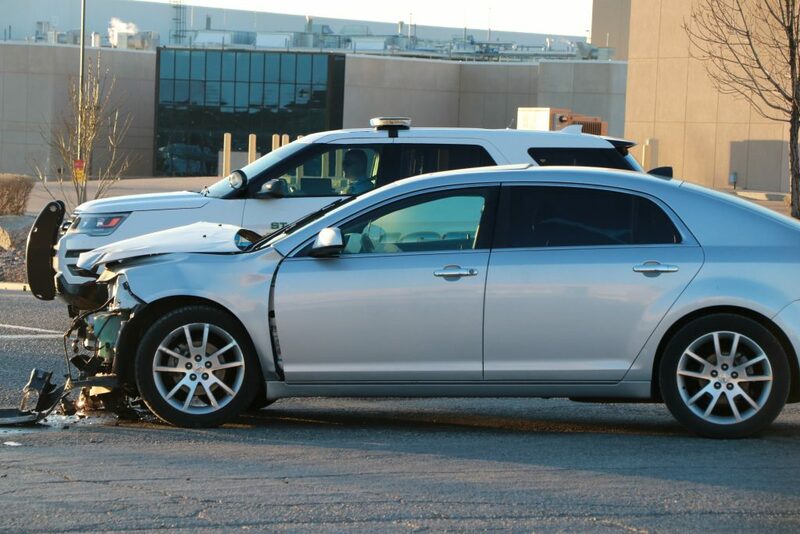 The front end of the Malibu sustained heavy damage, and its airbags were deployed in the collision. 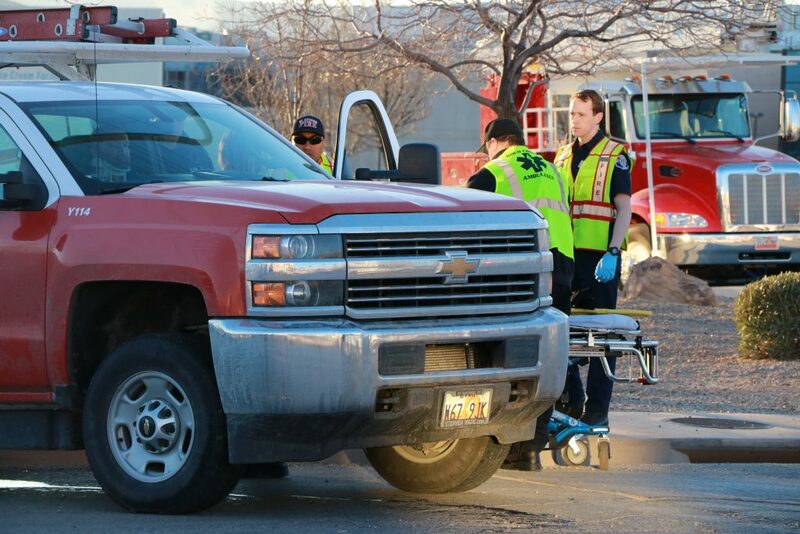 The Silverado sustained damage to the rear of its passenger side, near the wheel well. 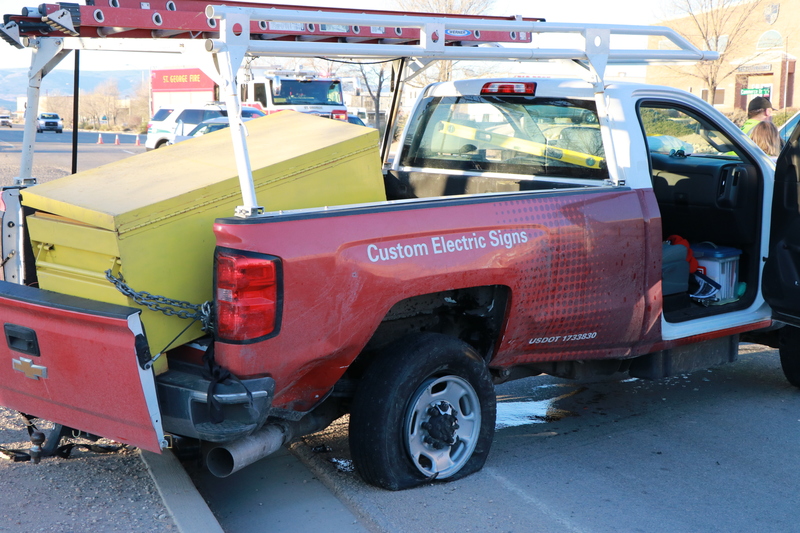 A tool box and other equipment in the bed of the truck, along with its tailgate, also appeared to have been damaged. 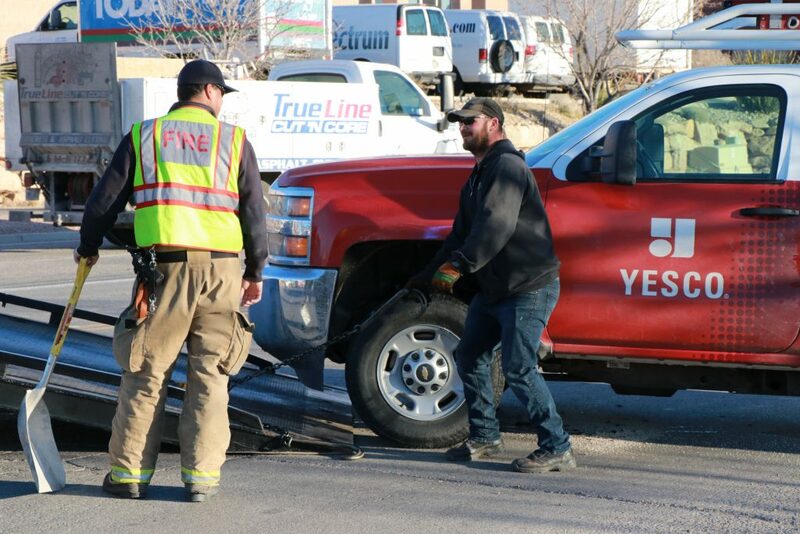 Stops signs are so hard to recognize. 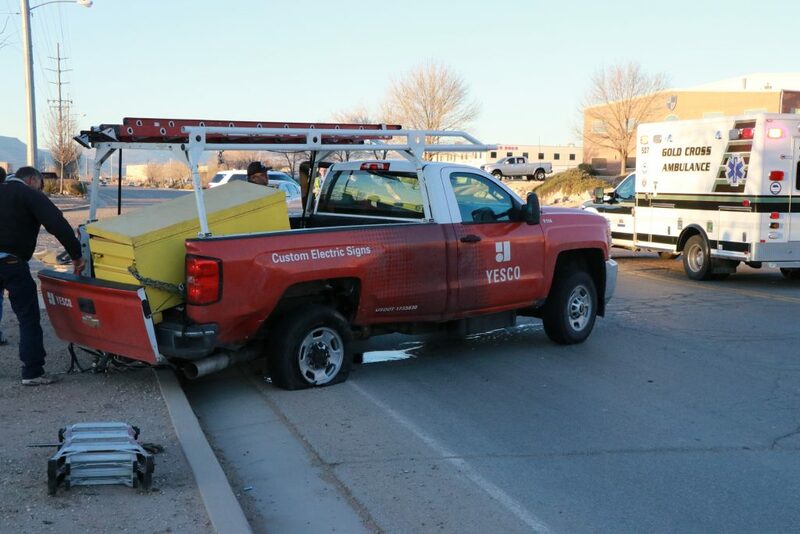 Maybe they should color them Red or something. 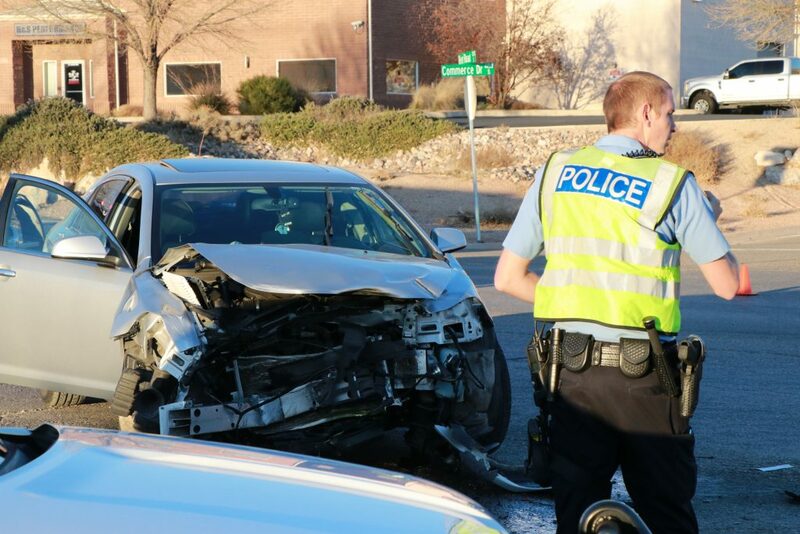 Bet it was distracted driving, cell phone probably.